Cancer cells are abnormal cells that grow and multiply uncontrollably. But they are far more complex than that simple statement. It’s this complex nature of cancer cells that makes a cancer diagnosis so troubling and the treatment options largely limited. One new study published in the Proceedings of the National Academy of Sciences indicates low-oxygen levels could be to blame for the spread of at least one type of cancer, giving scientists clues to more effective treatments. According to the researchers from Johns Hopkins University, low oxygen levels within cancer cells trigger the increased production of two proteins—RhoA and ROCK1. These proteins are known to give cancer cells movement and the ability to easily spread. 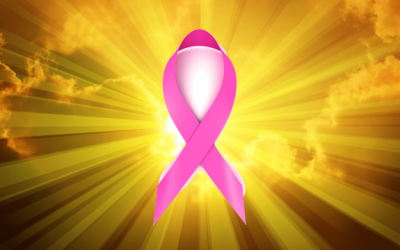 Studying breast cancer cells, the scientists explained that when cancer cells spread, they undergo a number of physical changes to make such movement possible. This includes the production of “filaments” and “hands” allowing them to contract and reach, pulling themselves along and latching onto other surfaces. RhoA and ROCK1 are known to play an important role in the production of these filaments and hands. Until this study, it was largely unknown what caused the levels of these proteins to be high. Now, however, they have a clue. Further, these changes allow the cancer cells to break away from the centralized tumor, where they can reach the blood vessels and spread throughout the body. Breast cancer cells exposed to low oxygen levels had significantly more movement than those with normal oxygen levels when tested in the lab. These low-oxygen breast cancer cells had far more hands and filaments than the others.